Feeling so much better after being sick last week and after 2 days of rest! Came to Jacmel Friday night and went to the beach on Saturday. I almost forgot sitting on the beautiful Caribbean shoreline that I was still in Haiti. But I needed to forget for a little while and relax. Clinic in Port au Prince has been so busy. We had the Jamaican military there on Thursday and they brought doctors and pharmacy workers and best of all- medicine! We were almost totally out of medicine. Every medical agency in the country are needing the same meds and right now they are difficult to get. We went to US AID to get meds on Thursday morning and they were closed for a training session so no one could get meds from them for the whole day. We emailed them and gave them a list of the meds we are looking for and they only had 2 out of almost 20 requested meds. The Jamaicans said we could use their meds all day long but they had to take what was left with them at the end of the day. We, of course said, "Deal!" They had more supplies than I have seen since I have been here after the earthquake and I have been in several hospitals. The Jamaicans are being very kind to the Haitian people. There is a team of doctors, nurses and surgeons coming from Kentucky. They will be here this afternoon. They are bringing medicines and supplies with them. We are going to have clinic out in the villages of Peredo and Seguin. So much effort is being put into Port au Prince right now we are going out to serve the people who live in the outlying areas of Haiti too. 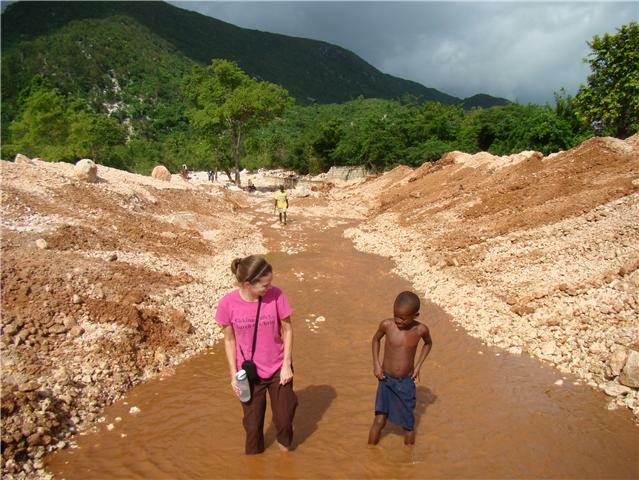 Please pray for safety and that we listen to God's plan for His people in Haiti. Roro and Paul Ronk are still working on getting food to the people who need it. Things are still stressful regarding food here. When we were on our way to Jacmel on Friday, we saw a truck with supplies in the back of it. It was mobbed y Haitians. The Haitians pulled it all off the back of the truck onto the streets and people started taking it. We of course did not stop the car and kept going to avoid getting into the same situation. Please pray that the people of Haiti are helped in this regard and they will have peace in knowing God is in control and will provide for them. They have a kind of desperation we Americans do not understand. And I pray we never have to understand.